The original classic candy flavor from Cosmic Fog Vapors. 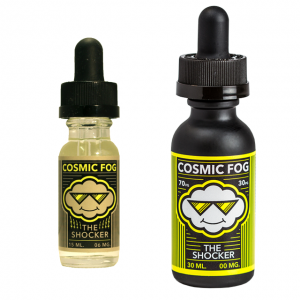 A vape that you could not put down to save your life, makes Cosmic Fog Kryptonite true to its name. A sweet and refreshing blend of cool melon paired with your favorite candy makes a bottle of juice so good you will not stop vaping it until the bottle is gone. Cosmic Fog Kryptonite has an interesting and unique yet awesome combination of flavors. People at Cosmic Fog Vapors have truly outdone themselves with this one. You take the lid off the bottle and a refreshing and cool smell of melon fill your nose. The smell of those juicy melons is also accompanied by the sweet sensation of candy. As you vape it up and inhale, your taste buds can instantly pick up the marvelous and refreshing taste of ripe smooth melon. The incredible taste of candy fits the melon ideally creating this incredible duo. When you exhale, the amazing sweetness of candy takes over as the main lead and the taste of melon starts slowly fading. The flavors are so incredibly close to the real thing that it will make you question reality. Cosmic Fog Kryptonite has a VG/PG ratio of 70/30. This means that the e-liquid produces a lot of thick, smooth vapor. 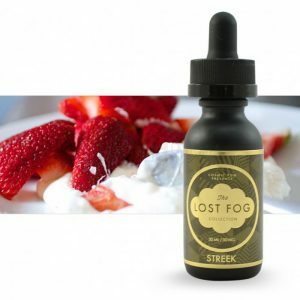 As a result, you can take large hits of this vape juice without taking a toll on your throat. Kryptonite is available in all kinds of different nicotine levels from beginner to expert vape enthusiast. To make things clear, the vape juices comes in 0mg, 3mg, 6mg, 12mg, 18mg, 24mg nicotine levels. Overall, Cosmic Fog Kryptonite has a distinct and terrific combination of flavors which will surely suit anyone looking to taste something sweet and fresh.